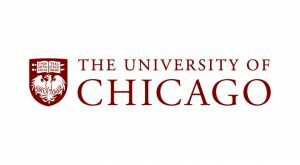 Founded in 1890, the University of Chicago is home to 5,900 undergraduates, and 10,000 graduate and professional students in four divisions and six professional schools. The National Opinion Research Center, a partner for this project, is one of the oldest not-for-profit, academic research organizations in the United States. This grant, which aims to enhance preschool mathematics teaching and learning, will provide support for the development and testing of a system of formative math assessments and instructional strategies. To support teachers, the university will create a full assessment-and-instruction system that includes workshops, written guides, and classroom-based support. It will also develop an instructional toolkit to describe the conceptual framework of the assessments, and provide guidance in advancing children along critical math learning trajectories. To achieve the best learning outcomes, each child in a preschool classroom must receive instruction tailored to his or her knowledge and skills. Individualized instruction is more likely to occur when teachers use comprehensive, ongoing assessments that allow them to determine whether children are progressing toward intended learning outcomes.